We all remember back in the day when we learned about how everything exists in a liquid, gas, or solid state. Well an air conditioner works by exploiting these basic principles. Did you know that when something changes from a liquid to a gas it absorbs heat? All an air conditioner does is repeat the process over and over generating a cool surface the fan blows across. Sounds really scientific and complicated but it’s really not. So where does the compressor come into all this? Your compressor does exactly what its name implies. It compresses the gas back into a liquid so it can expand again, making it a vital part for any air conditioning unit. So when find yourself in need of replacement of your air conditioning compressor in Denver, CO give the experts at Sanders & Johnson Heating and Air Conditioning a call at 303-422-6606. Is your house staying cool? 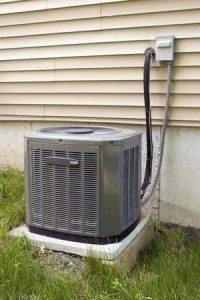 If you’re turning on your air conditioner but the house just doesn’t seem to actually get cold, then you may have a problem with your compressor. When problems do arise with your central cooling system there is always a good chance it’s the compressor. Does it come on? when you turn on your AC is it having trouble kicking on. When you are outside you should be able to hear the compressor doing its magic. If you can’t hear it, then there is a good chance your compressor is going bad, or has already gone bad. What’s that strange noise? No one knows your home better than you. If you notice that your unit has started to make some weird noises then you could have a compressor that is starting to fail. Why does my breaker keep blowing? Does your breaker seem to blow or flip every time you turn on your air condition? When a compressor is going bad it can pull more juice causing the breaker to flip. If you are experiencing any of these problems or if your compressor has already gone out. Give the experts at Sanders & Johnson Heating and Air Conditioning a call today 303-422-6606. Contact Us today!